NPCIL is recruiting Chemical Engineers, Electronics Engineers, Electrical Engineers, Instrumentation Engineers and Mechanical Engineers for the year 2015. 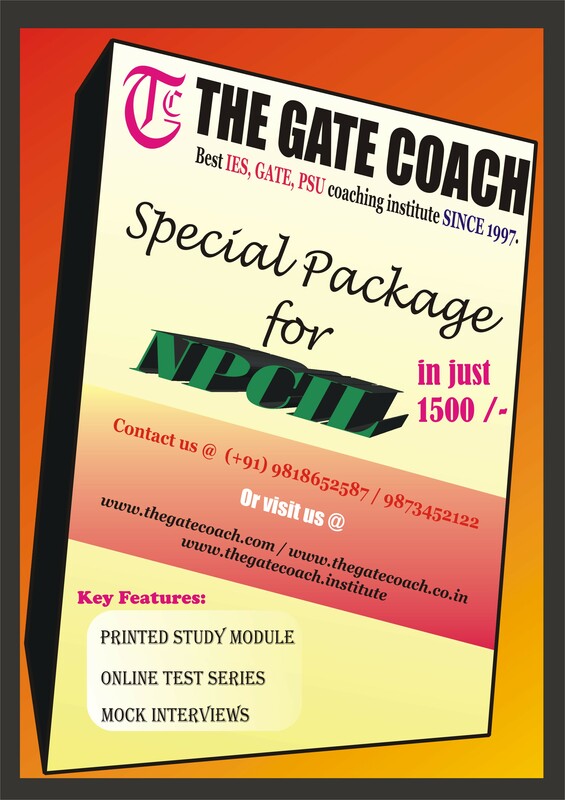 The Gate Coach is announcing special package for NPCIL 2015 in just Rs. 1500 which includes Online Test Series, Printed Study Modules and Mock Interview Sessions.